Eco Green IT Birmingham guides you about how the environment can be protected. 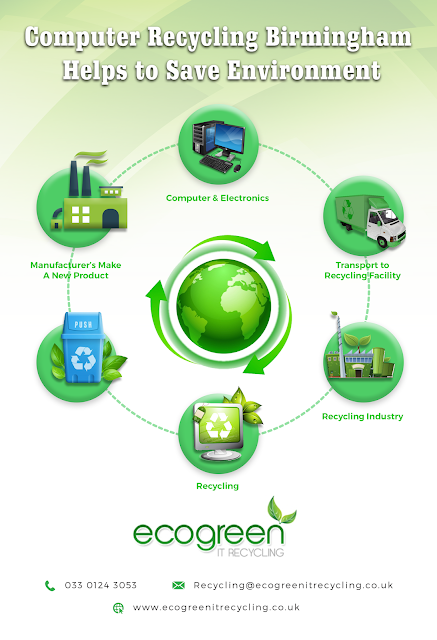 Simple steps can be followed to do computer recycling. Computer recycling Birmingham is a great way to save the environment, not only for you but for the future generations as well.